Our community offers its talents many times throughout the year! 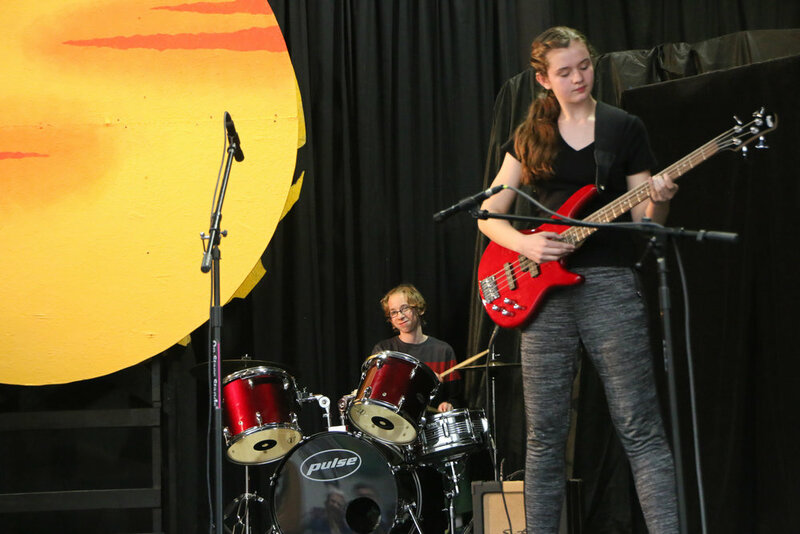 The Music & Drama department coordinates seasonal variety shows, annual class plays for each homeroom, talent shows for non-school stage projects, and many more less-official venues as well. Our students appreciate talents of all kinds, so every gift is welcomed and nurtured, and urged to be expressed!